Love life, live yoga: turn YOUR passion into a fulfilling heart-centred career as a teacher or even start running your OWN yoga studio. 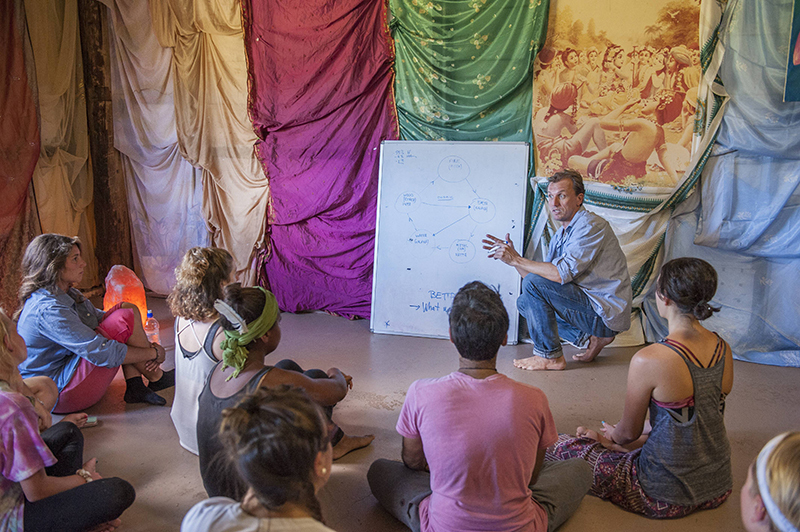 Full immersion program that spans 6 weeks, living in a yogic community on an eco farm between Byron Bay and the Gold Coast. Nourish your soul with Yoga Teacher Training that addresses the science of yoga holistically including postures and philosophy as well as Ayurveda, Kirtan, anatomy and physiology, nutrition, meditation and mindfulness. Teach classes with REAL students while being guided and supported by a team of internationally experienced yoga teacher trainers. Gain Yoga Alliance international certification and hands on business training to run your own heart centred yoga business – we even show you how to get clients! 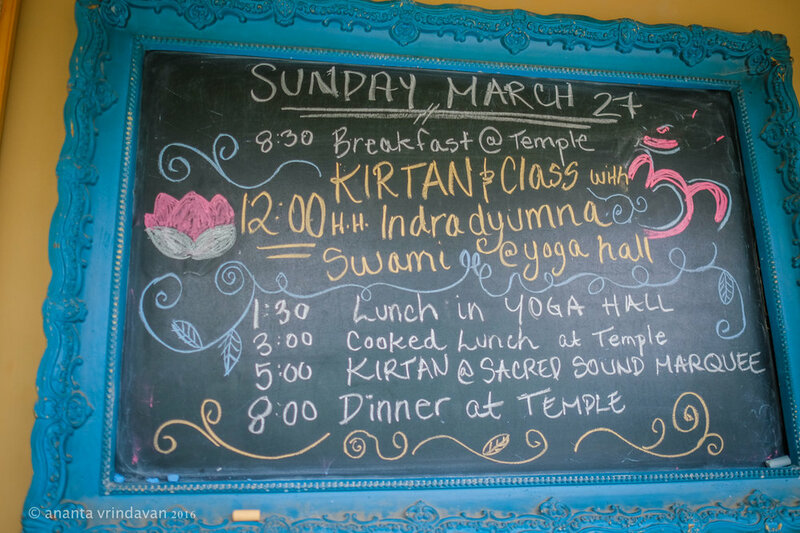 The Krishna Village can host up to 70 people in a combination of rooms, dorms and camping spots. There are usually around 30 full time volunteers who work in our organic gardens and maintain the grounds, 15-25 retreat guests or Karma Yogis and up to 20 yoga teacher trainees. We offer a female and a male dorm - each for up to 4 people - and one 3-share dorm. The dorms have bunk beds and wardrobe space for your belongings, and bedding is provided. While on the course you will have 3 delicious vegetarian meals provided every day, with breakfast and lunch raw food options. New Govardhana serves as an ashram to a community of yogis who aspire to live according to their deepest vows and commitments on their path of service, spiritual contentment and happiness (Bhakti Yoga). Their service and dedication make this location a beautiful place of growth, healing and spiritual awakening. Payment plans are available (initial 20% non-refundable down payment + paying it off in monthly instalments). No refunds, but option to attend a later course (min notice 1 week in advance). We are Yoga Alliance Accredited!